Police detail cost, no market parking are among Market’s concerns. Read the articles from The Sun Chronicle and Attleboro-Seekonk Patch. Let us and your City Councillor know what you think. 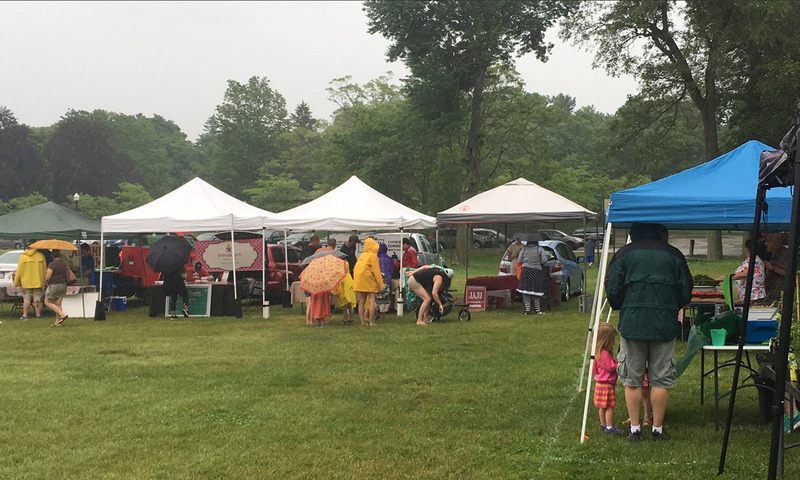 “We would have to consult our board if the police requirement stays [when the full council votes on the proposal], but it would be very difficult for us to afford that,” [Heather] Porreca [Attleboro Farmers Market Manager] said. She said the market costs $3,850 per year to operate and brings in $4,200. There is no room in the budget for an officer. Vendors pay $10 to be part of the market. She said raising that fee would cause vendors to choose other options. If the proposal approved Tuesday is passed by the full council next week, the market’s board of directors would decide the next step, Porreca said. [Eddie] Porreca [vendor coordinator] is hoping for changes in the plan, which bans market patrons from parking in the North Main lot and details how vendors must position themselves. Come on Attleboro, don’t screw this up! Very sad to see that The City of Attleboro administration is not promoting AFM and use of a municipal lot. It’s not an election year but please remember this vote in November of 2013. Come on Mr. Mayor keep business in Attleboro.